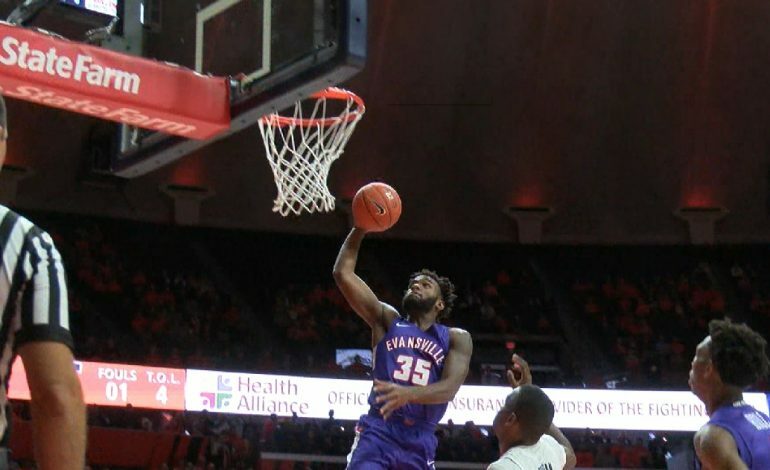 UE Men’s Basketball is 0-1 this season following a 99-60 loss in Champaign Thursday night. The Aces were without center Dainius Chatkevicius, who did not play against Illinois. He is also suspended for the next two games for violating team rules. The Aces had three in double figures, and were led by K.J. Riley’s 14 points. Marty Hill followed close behind with 13. He also had 6 rebounds and 2 steals. Shea Feehan had 12 points and 2 steals. The Aces will cross the Indiana state lines once again to face Xavier Saturday in Cincinnati at 3 p.m. Catch coverage with Nick Ruffolo on-air and online.